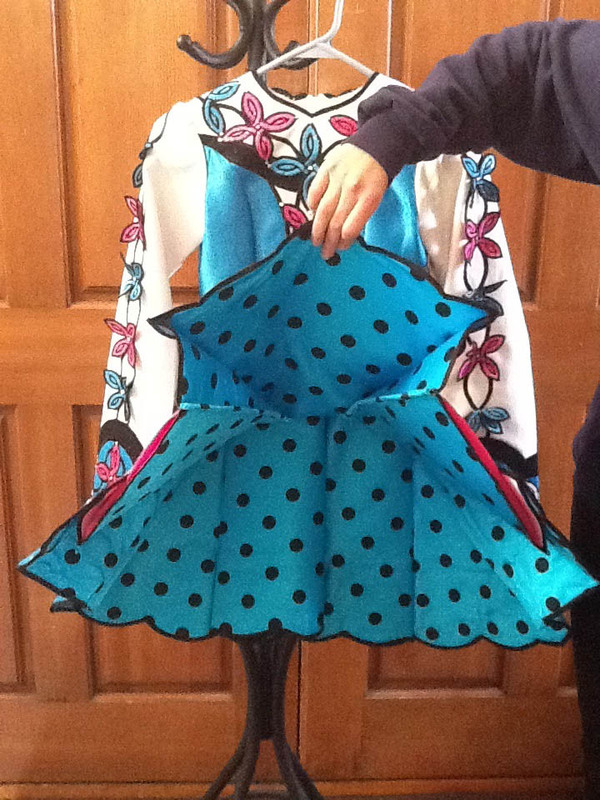 2 piece white base dress, with turquoise bodice, hot pink & black accents. 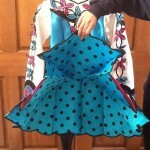 The underside is turquoise with black polka dots. It includes a cape & crown. There are polka dot kick pants, but they are pretty worn. It would be easy to fix or add your own turquoise kick pants. 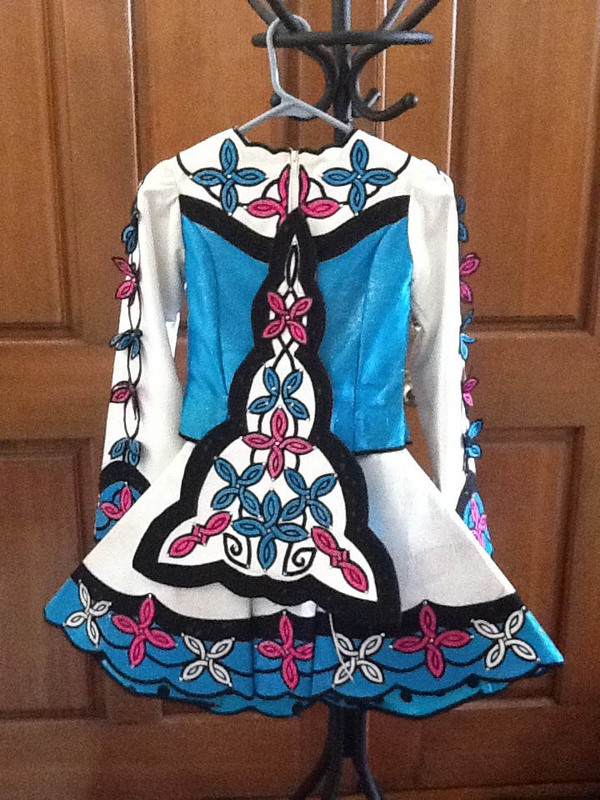 3D butterfly/flowers down the sleeves. This is a 2 PIECE dress. 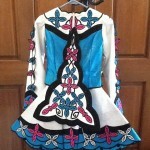 It is very nice to take off the top “jacket” between dancing. This dress shows AMAZING on stage. 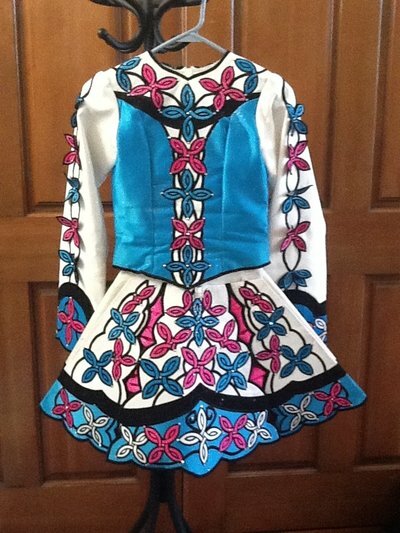 This is a perfect dress for a Novice/Prizewinner level dancer. Please email for more details or more pictures.